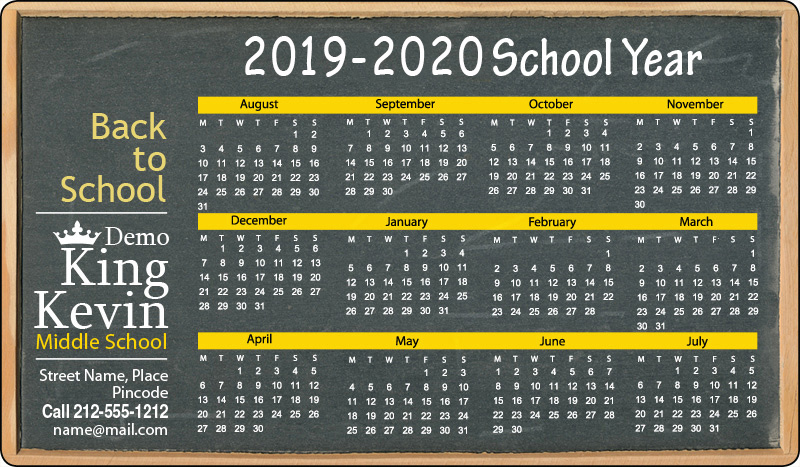 Grab lasting exposure for your school with this custom 3.5 x 6 inch round corners middle school calendar magnets – 30 MIL. Well-suited for all types of private and public schools, universities, colleges, and many more, trying to stir consciousness in minds of their targeted and existing students and others. This promotional car magnet is proven way to position your business information before students, teachers, parents and everyone who cares about education and educational values! Spearhead a educational revolution as you drive home from school or office through this magnet. 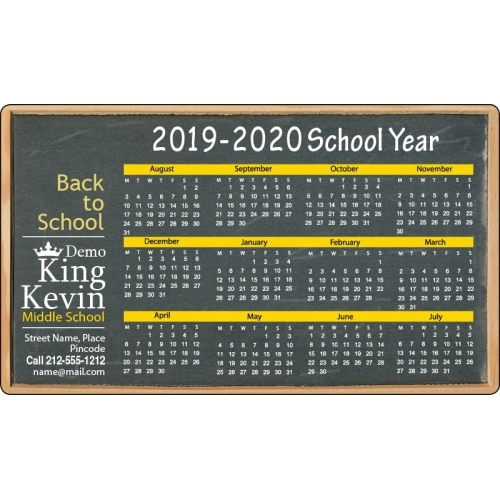 Request a quote to know price savings you can avail on bulk orders of this customized 3.5 x 6 inch round corners middle school calendar magnets – 30 MIL. Product size – 3.5x 6. Thickness – 30 MIL, Outdoor Safe. Imprint Method- Price includes printing in full-color (four color process) on one side. Pantone® color matches not available in full-color. Product Size : 3.5 in. x 6 in.